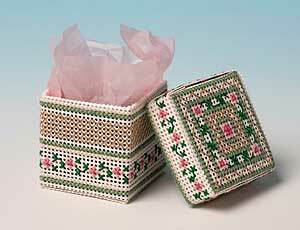 This little gift box evokes the colours of Spring, with apple blossom scattered around the sides. The finished box is 4cms high and matching tissue is provided to cushion any gift you may wish to put inside it. The finished box stands 4cms high.